Prime Minister Narendra Modi would be visiting Manipur for the inauguration of the 105th Indian Science Congress (ISC) to be held at Imphal from March 16-20. Manipur chief minister N Biren Singh informed this while speaking at the inaugural function of Girls’ and Boys’ Hostels at Khuman Lampak, Imphal and “Imphal Planetarium” at Manipur Science Centre, Takyelpat in Imphal West on Monday afternoon. 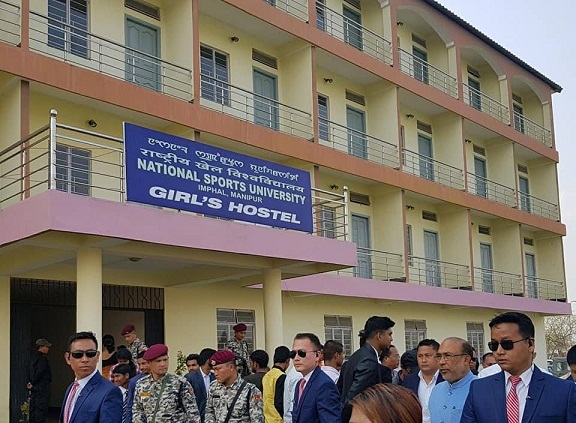 Prime Minister would most likely to lay foundation stone for National Sports University in the state, he added. Union Home Minister Rajnath Singh would also be visiting the state to attend the first anniversary celebration which falls on March 15. Union Home Minister would inaugurate the Integrated Check Post located at Moreh. The government has already identified about 116 projects to be inaugurated on the occasion of ‘Inauguration Fortnight’ in the state. The chief minister said that each individual should become a ‘model’ for bringing positive change in the state to make a better Manipur. He said President of India Ramnath Kovind declared Manipur as “Sports Capital of India”. Stressing on the negative effects of prolonged celebration of Yaoshang festival in the state, he said the government has received huge positive response from the people to lessen the number of days of Yaoshang celebration. Later, on the occasion of inauguration of Imphal Planetarium, Chief Minister said such digital planetarium which is first of its kind in the state would provide benefits to the young students of the state in the field of Science and Technology. He directed the officials of the Science and Technology Department to prepare a Detailed Project Report for the construction of a bigger Planetarium with a capacity of 400-500 seats in the state. Talking about the frequent floods in the Imphal areas, he said the government has decided to acquire about 470 acres of land at Lamphelpat area for the development of water body at Lamphelpat area. Dredging machines would be hired to clean up the area before the monsoon season, he added. With such initiative, we could control flash floods in the Imphal area, he added.